Last week's TLC Book Tour stop (the psychological thriller One Step Too Far) took me to modern-day London. This week's novel is still set across the pond, but took me on a journey back to Victorian times where poor and often infirm children sold watercress and flowers. 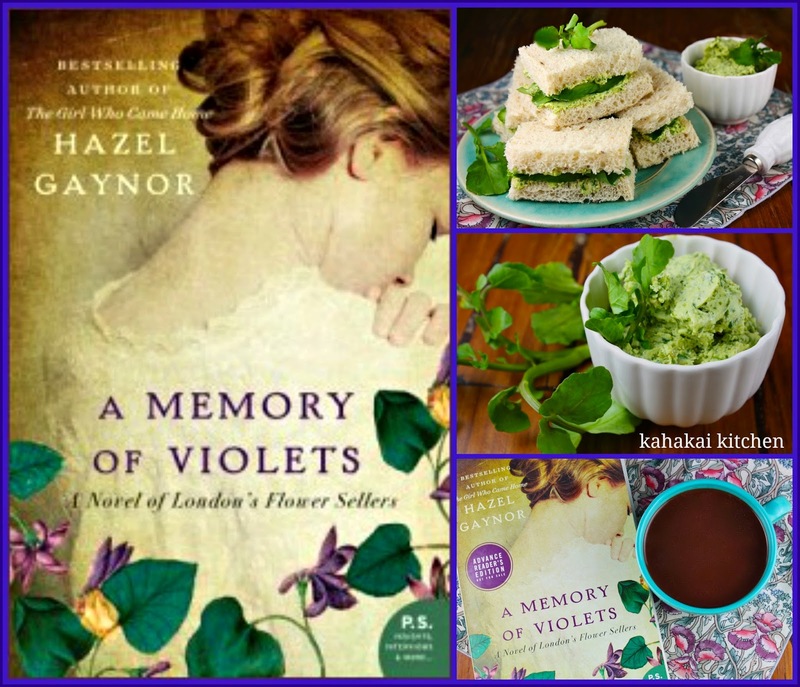 I'm reviewing A Memory of Violets: A Novel of London's Flower Sellers by Hazel Gaynor, and serving it up with Watercress Tea Sandwiches and a recipe for Watercress Compound Butter. Although I have it loaded on my Kindle, I have not gotten around to reading Hazel Gaynor's debut novel, The Girl Who Came Home: A Novel of the Titanic. 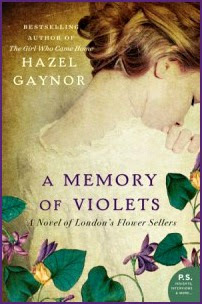 I've now officially moved it up my to-read pile after being drawn into A Memory of Violets. Sweet, moving and thoughtful, A Memory of Violets is based on the history of the young girls struggling to stay alive and support their families with the small amounts they earned hawking flowers among the street traders in London's Covent Garden. It's the story of two sets of sisters--Irish immigrants Flora (Florrie), partially crippled from polio, and her younger sister Rosie, suffering from near blindness. Florrie promises her dying mother to take care of Rosie and her heart is broken when her sister is grabbed at the market and disappears. Florrie is taken in by preacher Albert Shaw and taught a trade--making beautiful, lifelike silk flowers at his Training Homes for Watercress and Flower Girls but she spends her life longing for and looking for Rosie. Thirty-six years later, Matilda (Tilly) Harper doesn't have a good relationship with her younger sister Esther--crippled in a riding accident that Tilly feels a deep guilt over. Wanting to distance herself from the guilt and her very distant and unloving mother, Tilly takes a position as an assistant housemother at Violet house, working with the orphaned and mostly disabled girls that work in Shaw's factory. In her room in Violet House, Tilly finds a box containing personal items and a diary written by Florrie. Caught up in Florrie's tragic story, Tilly wants to learn what Florrie never did and find out what happened to little Rosie. The story alternates between Florrie's and Tilly's points of view and moves back and forth in time telling each girl's story. I enjoyed the dual story telling--both characters were easy to attach to and to root for. Author Gaynor did a lot of research into her subject and it shows in the detailed capture of life in Victorian England. It was especially interesting to me to read the author's notes at the back of the book and learn about her inspiration for the character of Albert Shaw--based on the real life work of philanthropist John Groom and his work to support the watercress and flower sellers he encountered, helping them off of the streets and into a safe environment while learning a viable trade. The story was predictable at times but it did have some small twists, and the well-drawn characters and vivid descriptions kept me engaged. An enjoyable book, charming and an easy read that will appeal to historical fiction fans--especially lovers of British and Irish fiction. 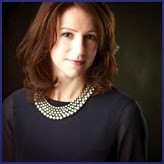 Author Notes: Hazel Gaynor is an author and freelance writer in Ireland and the U.K. and was the recipient of the Cecil Day Lewis Award for Emerging Writers in 2012. Originally from North Yorkshire, England, she now lives in Ireland with her husband, two young children, and an accident-prone cat. Find out more about Hazel at her website, and connect with her on Facebook and Twitter. How could I not be inspired by either flowers or watercress for my dish representing A Memory of Violets? Much of the food within the book was simple fare--a warming bowl of soup, bread and butter, a cup of hot tea, the occasional pudding for dessert, or even the hot cross buns, lemonade and ham sandwiches sold by the street vendors. Before Rosie's disappearance, Albert Shaw encounters the sisters on the street and gives them a special ticket to get a hot drink and a slice of bread and butter in a "Club Room" set up to support the poor. 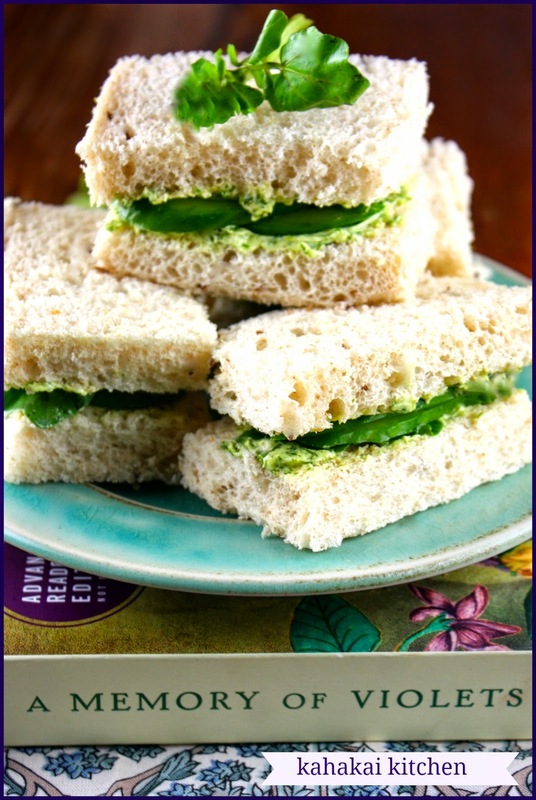 It was the combination of London, watercress, and that comforting bread and butter that led me to tea sandwiches. Place ingredients in food processor and blend until smooth and creamy. Taste for seasoning. Place in bowl or container and let flavors meld for 20-30 minutes before using. Cover and refrigerate if not using right away but allow butter to come to room temperature and a spreadable consistency before using. *Butter note: If using salted butter, taste before adding any additional salt. 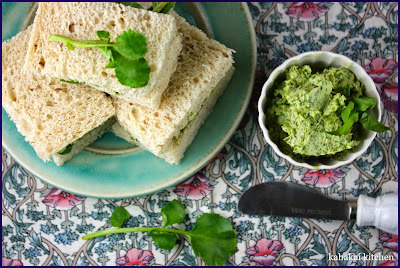 Notes/Results: Watercress compound butter (to quote Martha Stewart) is a very good thing. The creamy butter slightly softens the peppery edge of the watercress and the lemon adds bright notes. 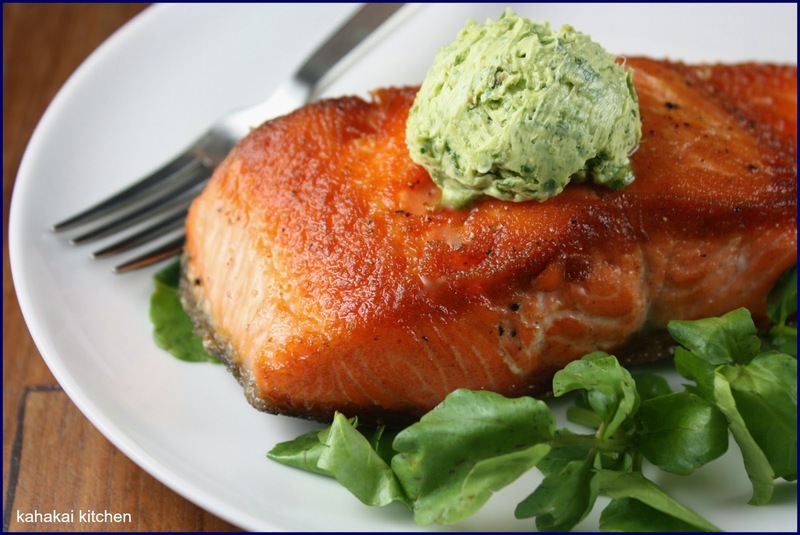 It has great versatility--it was wonderful spread on grilled bread, made into little tea sandwiches--with cucumber and more cress leaves, and it was nothing short of amazing topping a piece of grilled salmon. I think my next use is going to be melting it over a baked potato. Use good butter--I used Kerrygold Irish butter in honor of Flora, Rosie and Tilly. Since I can readily get the salted kind in bulk at Costco, I just omitted adding any salt to the recipe. Definitely a make-again recipe for me. And to end a satisfying read, a cup of hot cocoa--a welcome treat and warming nourishment for the children selling their 'cress and flowers. 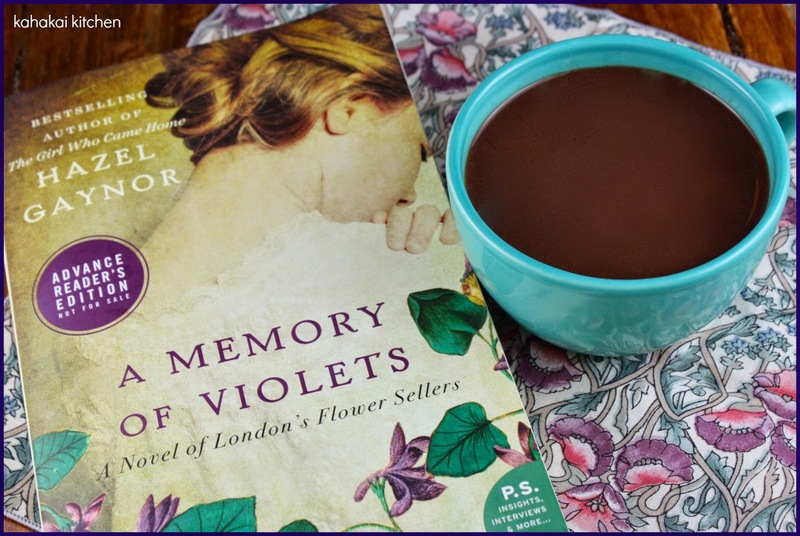 Note: A review copy of "A Memory of Violets" was provided to me by the publisher and TLC Book Tours in return for a fair and honest review. I was not compensated for this review and as always my thoughts and opinions are my own. The book sounds good and the compound butter sounds even better! Charming is a perfect word for this book. I love these kinds of stories! I'm so glad you enjoyed it. Thanks for being a part of the tour! Hi Carol, I am excited to read The Girl Who Came Home after reading A Memory of Violets and I am sure you will love this one too. ;-) Thanks for stopping by!